Would You Like to Get Your GED? If so, come to an informational meeting today at 3:30 p.m. at Franklin Elementary. 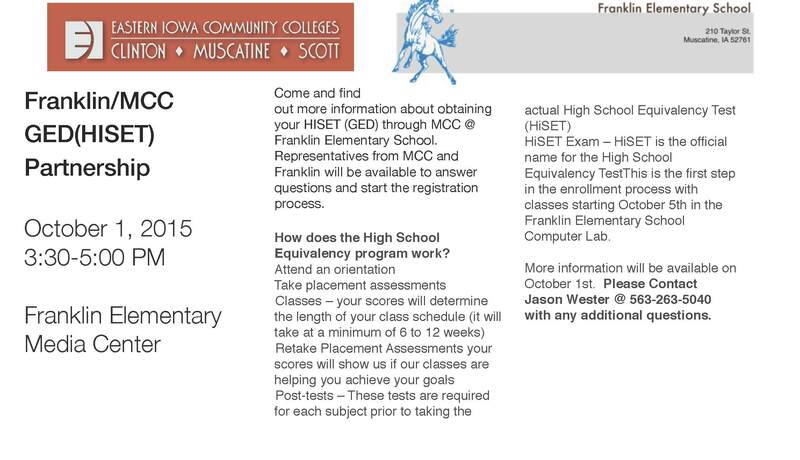 Franklin has partnered with MCC to offer the courses needed to prepare you for the GED exam. See the flyer for additional information!